A Royal Australian Navy maritime task group has commenced AUSINDEX, a major biennial exercise with the Indian Navy as part of the developing strategic partnership between the two nations. 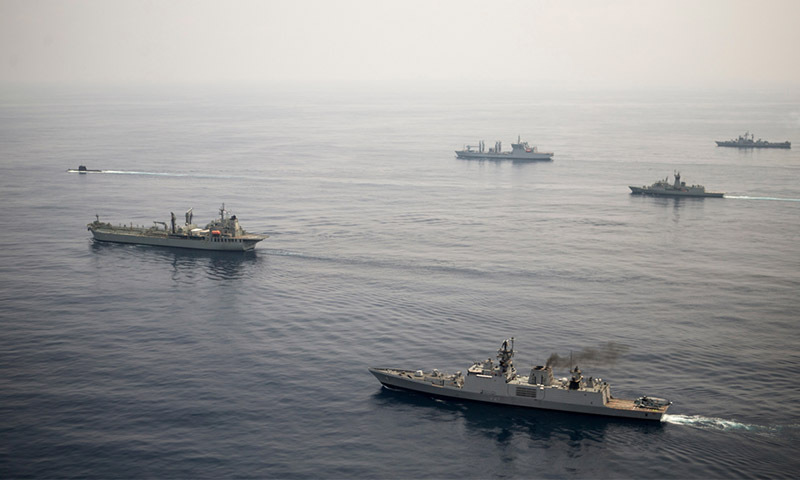 The exercise was first held in India in 2015, with this year’s third iteration to focus on anti-submarine warfare, incorporating maritime patrol and reconnaissance aircraft and more than 1,200 Australian personnel. Defence Minister Christopher Pyne said AUSINDEX 2019 would provide an opportunity for Australia and India to hone their anti-submarine warfare capabilities in support of a stable and secure Indian Ocean. "By 2035, the Indo-Pacific region will see around half of the world’s submarines operating in its waters," Minister Pyne said. AUSINDEX is the cornerstone of a wider Indo-Pacific Endeavour deployment that will see the task force conduct port visits to Indonesia, Malaysia, Singapore, Sri Lanka, Thailand and Vietnam. Minister Pyne explained, "Australia is committed to deepening our engagement with India and I’m pleased that our bilateral defence relationship continues to go from strength to strength. We have gone from 11 defence exercises, meetings and activities in 2014 to 38 in 2018." Fleet Commander, Rear Admiral Jonathan Mead, AM, said AUSINDEX 2019 would see Indian and Australian navies working through a set of increasingly complex activities and scenarios involving command and control, communications and maritime manoeuvre. "The ultimate aim of the activity is to practice maintaining sea lines of communications in a complex submarine environment. AUSINDEX 2019 is far more complex than the previous two iterations and by enhancing our interoperability, including with allocated air assets, Australia and India will be better prepared to work together to address future threats to the regional order," RADM Mead explained. HMA Ships Canberra, Success, Newcastle and Parramatta, supported by the submarine HMAS Collins and a Royal Australian Air Force P8-A Poseidon maritime patrol and reconnaissance aircraft, will participate in AUSINDEX 2019. Engagement with India through AUSINDEX is the cornerstone of Australia’s Indo-Pacific Endeavor series this year. Indo-Pacific Endeavour 19 is the Australian Defence Force’s major regional engagement activity and delivers on the promise of the 2016 Defence White Paper to strengthen Australia’s engagement and partnerships with regional security forces. "This year we have drawn upon capabilities from our Indo-Pacific Endeavour Joint Task Force to demonstrate the importance of a fully integrated force to meet these future challenges," RADM Mead added. Engagement with India, one of Australia’s key strategic partners in the Indian Ocean region, will be the cornerstone for IPE19, with a number of high-level activities to be conducted to showcase the breadth and depth of bilateral relationship between the two nations. Minister Pyne said in late-2018 that Australia’s relationship with India had expanded significantly since the signing of the Whole-of-Government Framework for Security Cooperation in November 2014, and he was dedicated to further strengthening this partnership.